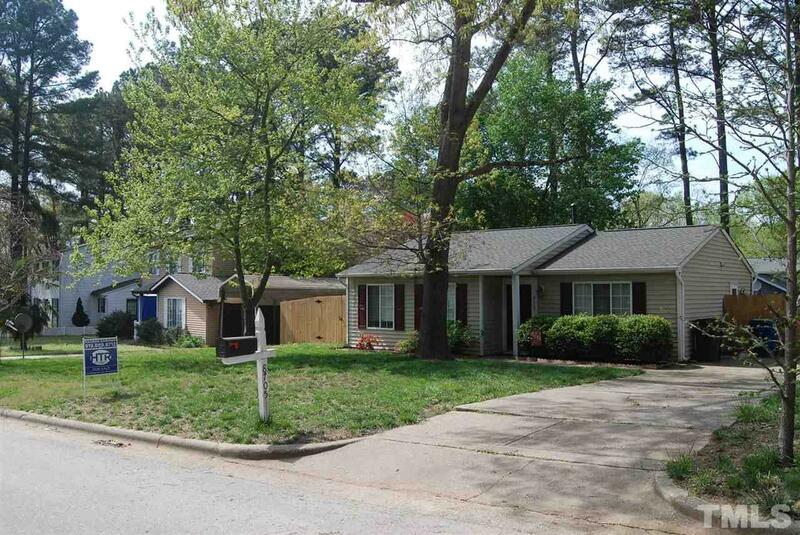 Charming and well maintained 1 story ranch in beautiful N. Raleigh. Hardwood floors in open living room and hallway. Features spacious bedrooms, 2 updated baths with tank-less water heater, eat-in kitchen and large patio in private fenced-in backyard. Roof and fence replaced in 2018. No HOA and convenient to Crabtree Mall and 540.